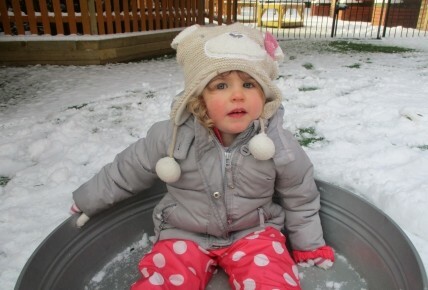 Busy Bees at St Matthews - Fun in the snow at Burntwood nursery! 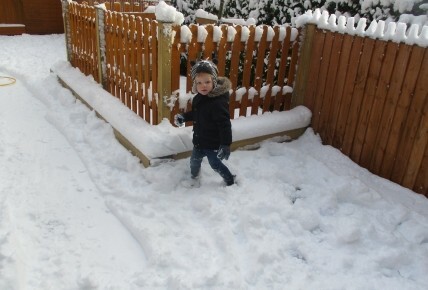 Fun in the snow at Burntwood nursery! 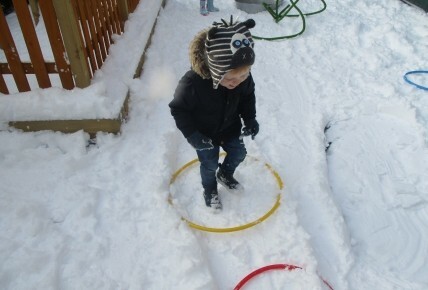 The staff and children have been having great fun in the snow today at nursery. Making sure they were all wrapped up warm and in spite of the fact that we didn't have a sledge, the children improvised and used other equipment to make tracks in the snow. The children took turns to be pulled along by staff and had lots of laughs in the fresh air. 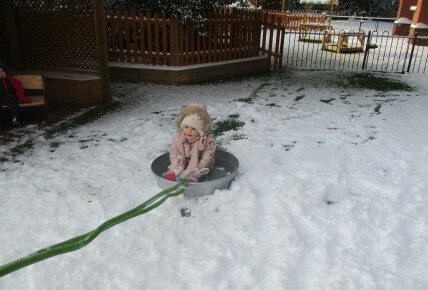 Staff and children also tried to make a snowman, but not very successfully I am afraid!